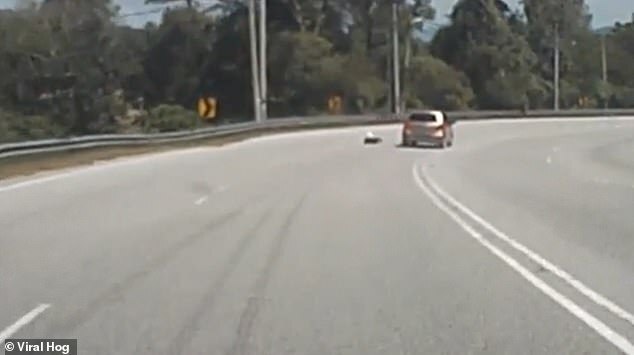 This is the terrifying moment a daredevil with a death wish was spotted recklessly overtaking a car on a street luge board. 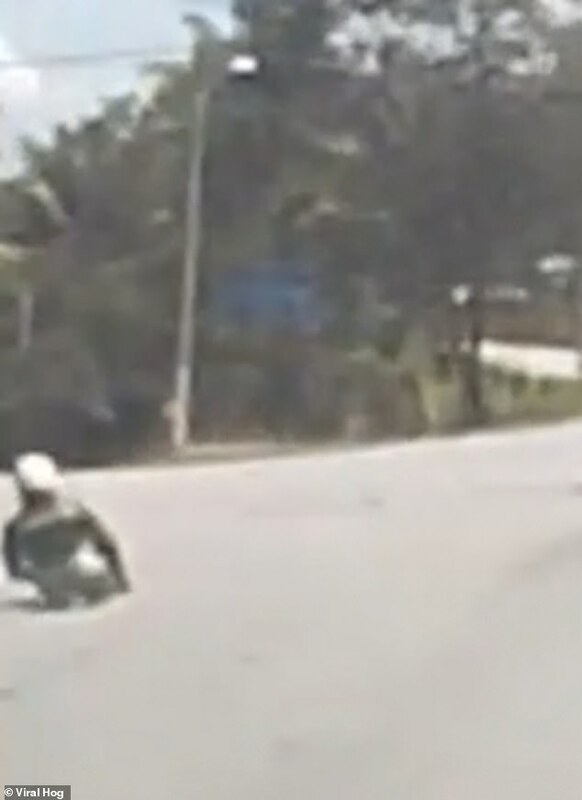 Footage, captured in the state of Negeri Sembilan, Malaysia, shows the adrenaline junkie lying on his back while riding the street luge board at full speed down a winding road. 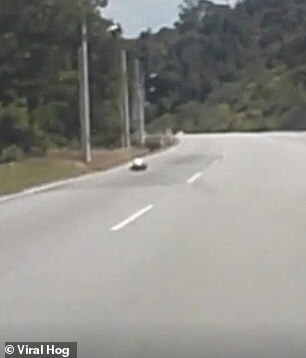 As the street luge rider crosses the path of the approaching vehicle, viewers are left open-mouthed as the daredevil comes within inches of being crushed underneath the driver’s wheel. 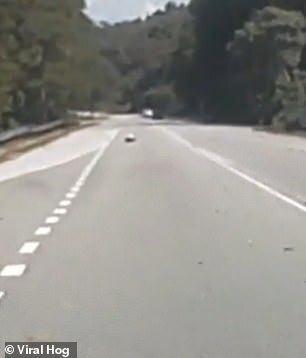 The unnamed driver of the vehicle that was overtaken wrote on YouTube: ‘I was driving downhill along the winding Seremban-Jelebu road. ‘A guy lying on a speeding skateboard overtook me from my left on a corner. ‘I could not imagine what could happen if he skidded and slid under my wheels. 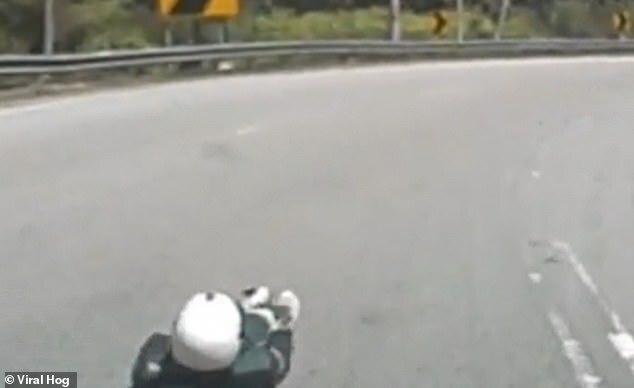 The extreme gravity-powered sport, also known as land luge or road luge, involves lying back on a street luge board while travelling a exceptional speeds downhill. The activity was created in Southern California when skateboarders discovered they could travel at faster speeds if they lay down on their boards rather than stand up. 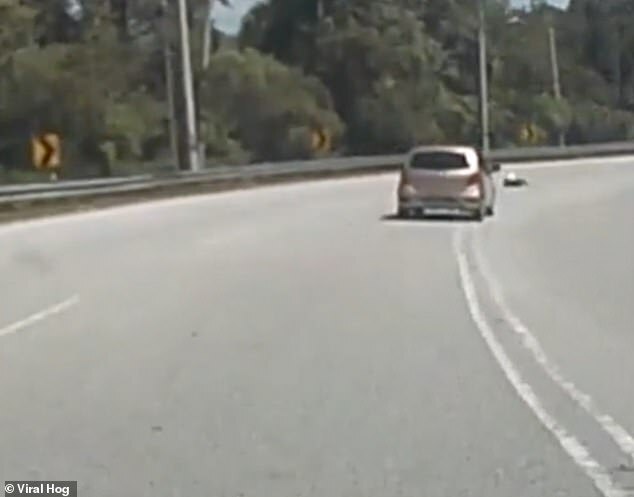 Shocked viewers were seen displaying their horror at the reckless stunt on YouTube.